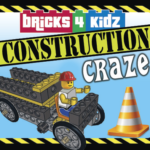 Bricks 4 Kidz® After-School Classes build on the universal popularity of LEGO®Bricks to deliver high quality, educational play. Every class is a fun, enriching experience for your child, building new projects each week based on a 6-week theme, using the classic bricks loved by generations of children. 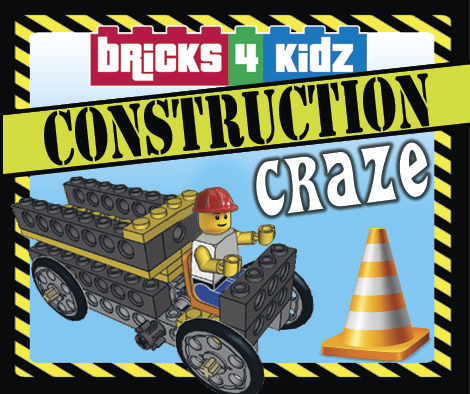 In Term Two, we will be INSPIRED by Construction Craze & Factory Fun! Put on your hard hat and head on over to our construction site! Dump trucks, jackhammers, drills, power saws… build motorised models of these and other powerful tools and create your own LEGO construction site. Join us for lots of high-impact learning and fun! Factories rely on special machines to help build, move and package the things we use every day. 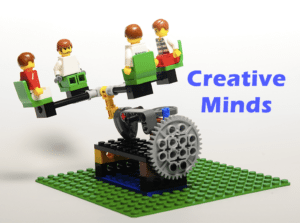 Come build kid-sized versions of these clever creations, such as a scissor lift, specialised conveyor belts and even a robot! You’ll learn about the engineering challenges involved in machine design and maybe be inspired to invent your own machine! Our trained, screened Bricks 4 Kidz teachers lead a discussion related to that day’s model, using materials designed by educators to teach concepts across a variety of subject areas. Kids will learn about everything from gears, torque and friction, to robotics, space exploration, movie-making and MORE! Collaborating with a partner, kids experience the hands-on fun of model-building, from concept to completion. All of our proprietary model plans are created by Bricks 4 Kidz designers. You won’t find them on the shelves at your local toy store! Play time rounds out the hour, giving kids an opportunity to modify their builds, further explore, develop and expand their creativity and imagination. 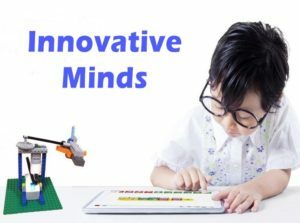 Introduces students to the world of using Technical and Motorised LEGO® to build Bricks 4 Kidz® models that will demonstrate core Science and Mathematics concepts and awaken their creativity and inquiry. 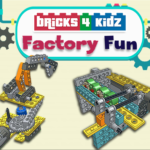 Combines WeDo “drag and drop” pictorial Coding/Programming software with our own Bricks 4 Kidz® models to spark and develop young students’ interest in Science, Computing, Engineering and Technology subjects. 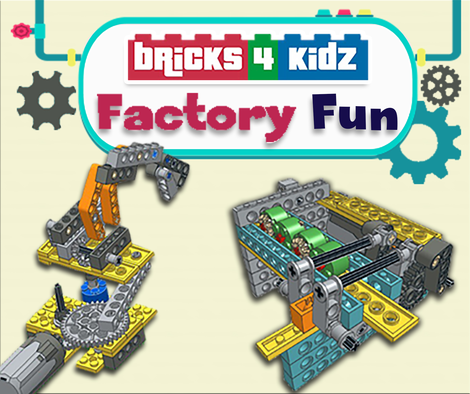 Bricks 4 Kidz utilises the new EV3 and Mindstorm® technologies, programming and our unique robot models. 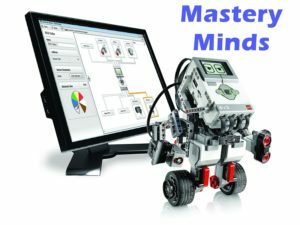 Children are introduced to the EV3 graphic programming language, equipping them at an early age to succeed in a technology-based marketplace. STEM concepts and teamwork are combined in all our action packed programs where kids learn real-life skills while having real-kid fun! Age As noted above, children are welcome at our workshops from as young as five, however all kids attending must be in kindergarten at least in order to attend. Cancellation Policy Cancellations made at least THREE weeks from the start date of the school holiday workshop will receive an 80% refund. Cancellations made TWO to THREE weeks from the start date of the workshop will receive a 50% refund. There are no refunds for workshops cancelled LESS than TWO weeks prior to the scheduled date of the workshop. Missed Classes If your child is visibly sick or carrying a high temperature on the day of the class, please keep your child at home! We will make up the class at the next opportunity. Make up classes & transfers for other reasons will be accommodated as long as there is room in the class. We reserve the right to cancel a workshop due to low registration. Space is limited, so please enroll your child today. Food and refreshment Please note that food is not provided. Please provide a nut-free snack for your child to enjoy during every day of the workshop. If staying for the full day children will need to bring their own nut-free lunch. Please make sure your child wears covered shoes, sunscreen and brings a hat! We will supervise them outside at breaks. Payment Payment can be made via bank transfer – we’ll send you a details after registration. Your child’s place is confirmed when payment is made. All transactions are processed in Australian dollars (AUD).